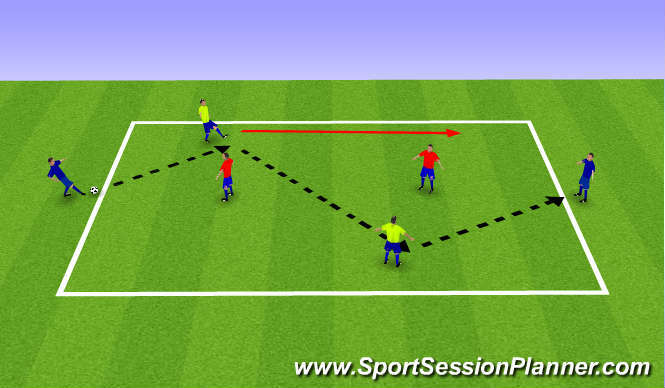 2v1 Possession game, 5 passes wins a point also beating def 1v1 wins a point. If def wins ball fast break to line to win point. 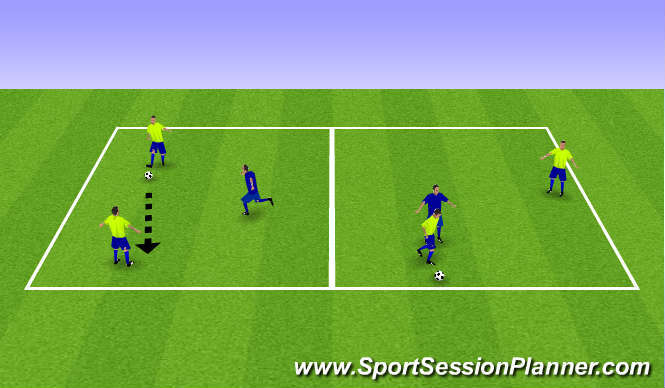 - Pass selection: surface, 1 or 2 touch. - Recognise space to pass and receive. 5 passes wins a point also beating def 1v1 wins a point. If def wins ball fast break to line to win point. 2v1 in each square... aim is to play forward into joining square for a point. If def wins ball quickly play to 2nd def to get point. - Progression: Dribble out of area, recognise when it is a pass or dribble? must remain 2v1 overload though. 4v4 plus 2 GK&apos;s and 2 Wide men. GK must play into pitch before it can go out to wide man. 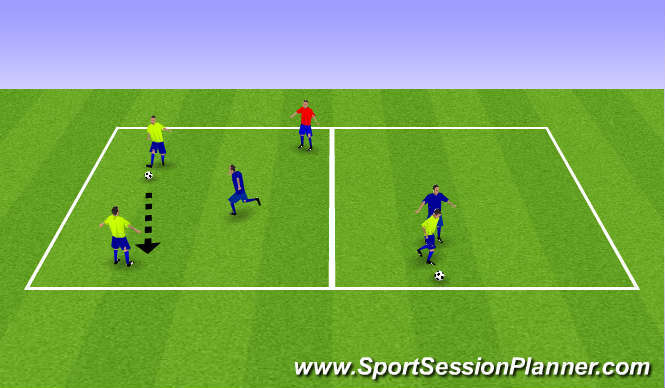 - GK play to defenders or into strikers? - Widemen: Vary delivery - cut back, low driven etc.